Prominent & Leading Manufacturer from Jaipur, we offer cutwork curtains and hand clutch purse. handmade cut work by villagers .best and beautiful designer work in curtains. 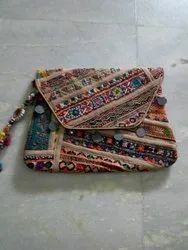 Beautiful hand clutch for daily use. small carry clutch for ladies.effective designs.